They are way more difficult to steer than they look. Hovercrafts EdinburghHovercrafts are great fun!. Not many places in Scotland offer hovercrafts as an activity. Flying a Hovercraft is somewhat of a unique experience. The skills required to drive the craft are good balance, fine judgement and forward thinking. The handling characteristics of the craft are so different from any other land based vehicle that it puts everyone on a level playing field from the start. You will race thoroughbred Formula 25 single seater racers, capable of speeds up to 50mph. The custom built course has substantial run-off areas which will give lots of scope to practice your new found skills. 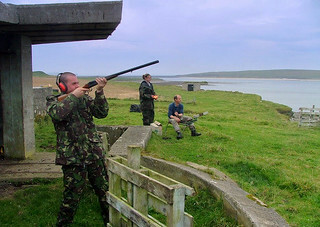 Combine crazy Hovercrafting with either Clay Pigeon shooting or Quad biking to make an awesome Stag day out. Filled with Laughs and Action for everyone. Where are the Hovercrafts sites? Accessible from Edinburgh or central Scotland (and we can arrange the transport anyway). About 40 minutes from Edinburgh town centre. 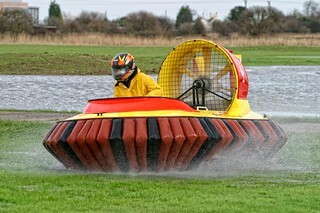 If you are going futher a field we als have Hovercraft centres close to the Highlands. You will have your own 500cc mini-hovercraft. They will kit you out and prepare you thoroughly before you pilot one round a prepared course for a uniquely novel and great fun experience. Generally you can only do hovercarfts on a Friday.